A team of medical professionals from Holland Hospital in Holland, Michigan is on the ground this week in Sassier, providing primary medical care in both Sassier and Voldrogue (about 45 minutes from Sassier). Please view our pictures below, and learn more about this mission by clicking here. Several of the Holland Hospital Team have been to Sassier twice in the past two years. 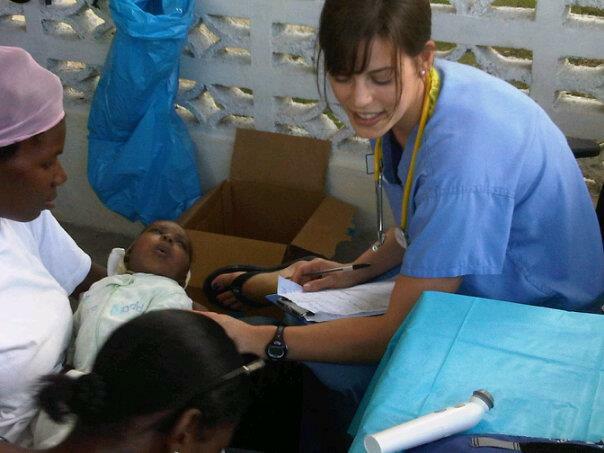 The teams are likely to treat more than 1,500 patients during the medical clinics. Each of the Team members pays all their own expenses and most make a contribution to the cost of medicine or other expenses. Without these incredibly generous folks, the medical care situation in Sassier would be dire. We are most grateful to them for their generous spirit and their willingness to share themselves and their skills with our sisters and brothers in Sassier.